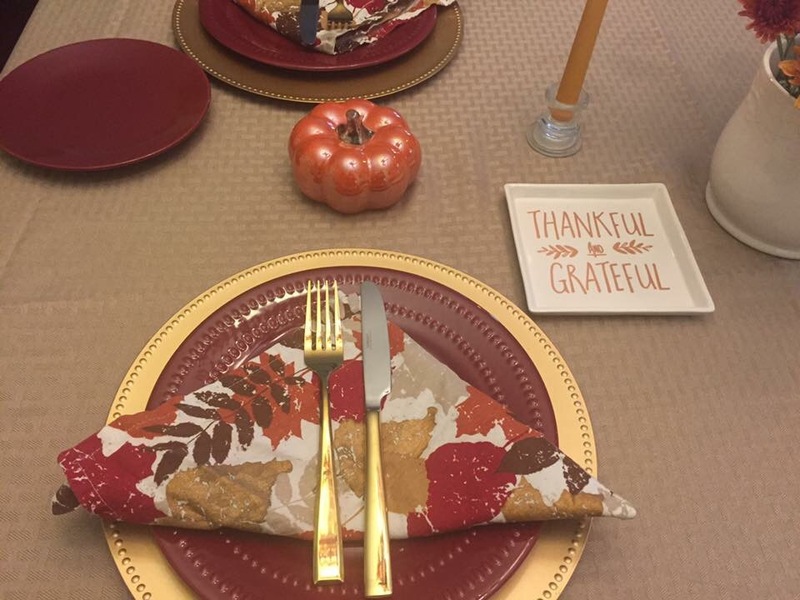 Thanksgiving was another great holiday for our family. The four of us stay home and celebrate with a relaxing day. Like normal, we started with me waking up early and starting on dinner preparations. As soon as Otis woke up, I reminded him that his most important job at that moment was to go get me a newspaper. 😁 I love to sit down and go through the black Friday ads. I know they are online and some of them have been out for weeks. There is just something traditional for me to spread out, go through the entire packet and write my list. I LOVE it! We watch the parade together and watch for our favorite floats and performers. This year’s winners were Pokémon, Ben Rector and Santa Clause!! We had way too much food and enjoyed a wonderful and delicious meal together before we all needed some lounge time to recover!! We are so thankful for all of our blessings this year and how God continues to hold us in His hands! Allie and I headed out to do some Black Friday shopping that night. We were chatting all day long about what time we should leave. In years past, she had gone into work with me and then we would go shopping at 3AM when I got off. This year, we could go whenever we wanted…we just weren’t sure when to go! haha! We headed out about 7:45PM and hit almost everything on our list. We are not big ticket item shoppers. We are all about the doorbusters- the $5 items and the cheap movies!!! We were home a little after 1AM and had a great time! Our family tradition has always been to put up the tree and outside decorations on the day after Thanksgiving. We bought our tree the Wednesday before and so on Friday, it was ready to move into the house and be decorated. 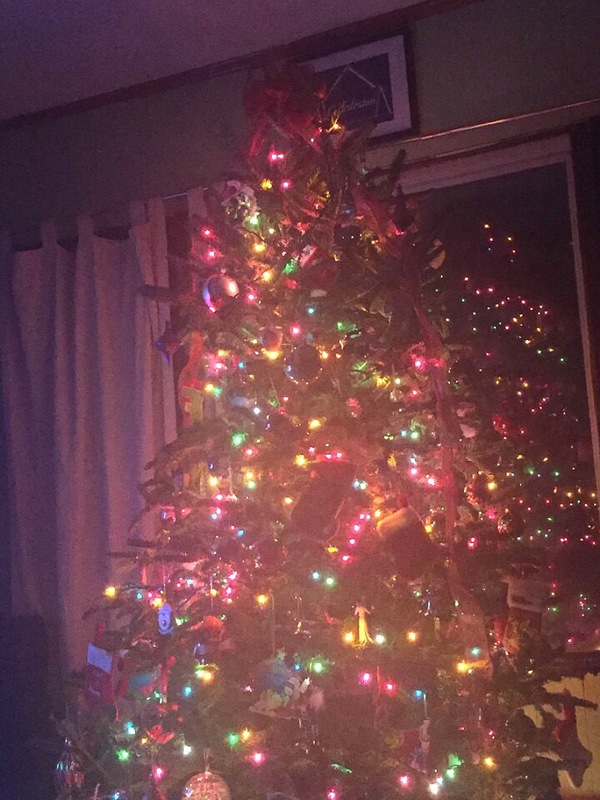 The kids and I usually handle the inside decorations and the tree. Otis is outside getting all of the lights on the house. It works great for us! 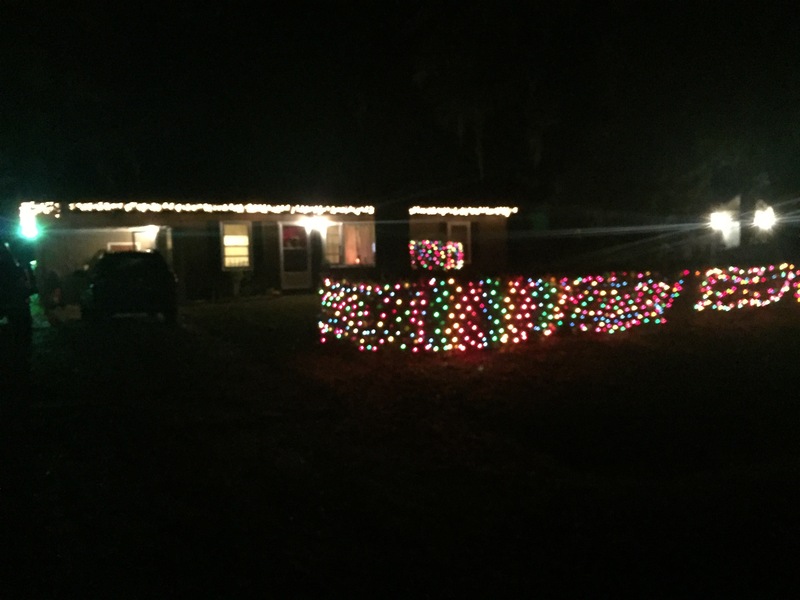 Christmas really is our favorite time of year!! We are excited for all of the festivities that this coming month has to offer!! We are also excited that we will have more freedom than ever to participate in them as a family. We are headed to our first Christmas Party tonight and are looking forward to our local parade this weekend!! From here on out, it’s all Christmas, all the time!! Now on to my reading for this month…. I only made it through one book this month, but that is fine with me!! 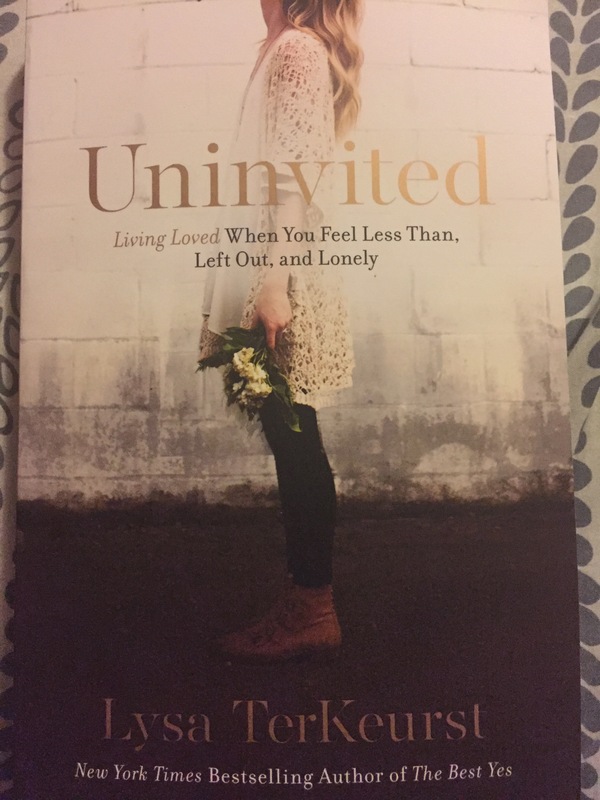 I read Uninvited by Lysa Terkeurst. There was so much more that I could have written about this book. I hope that if the topic, author, or any of the quotes peak your interest…that you would give it a read!! I am already planning a few more posts over the next few weeks. I pray that everyone enjoys this beautiful Christmas season, all that it represents, and all that it has to offer! !